Little Bird in a Beehive came into being on Etsy in January of this year. The creation of Benita from Melbourne, Australia, the shop houses gift tags, cards, handmade paper, accessories, earrings, brooches, and hair clips. Though Benita is now a full time secondary teacher, teaching English to students who speak other languages, she has not forgotten her childhood passion. From an early age she was a crafter, even painting found snail shells, and selling necklaces on her driveway. 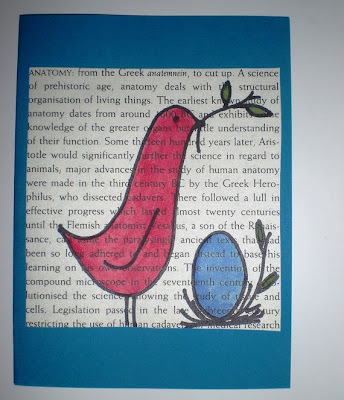 Now allowing the snails to keep their shells, this entrepreneur uses old book pages, watercolour, sewing and stamps to bring her ideas to life. Asked where she gets her inspiration Benita responded, "All over the place, art blogs I read, a leaf I walk past in the street, a piece of fabric I see, my mum, a bird or plant in the garden, a scrap of conversation I hear in the playground, a market, a gift..I think the more you act on the things that inspire you, the more likely things are to inspire you.. you just have to be open to the inspiration". Used as gift tags or even as glass markers and place tags, these busy bee's will add a touch of cuteness anywhere you choose to use them. Stamped with an intricate spring image, this maple wood disk is finished with 100% natural linseed oil and a Tasmanian bead. 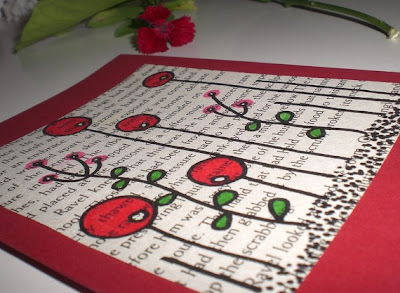 Sending a handmade card to a special person in your life would mean so much more to them than receiving a random email! A blank page inside allows for personalization. 1. Check out Little Bird in a Beehive. Come back here and tell us all about your favorite item(s). 3. Be or become a fan of this blog on facebook for a third entry. Entries will be accepted from now until noon next Monday, March 28. Check back later that night to see who the lucky winner is!! What a neat shop and o I have not seen it!! :D thanks so much Heather!! I had found this shop ... its great and i can tell you if you buy things from it they are wonderful. 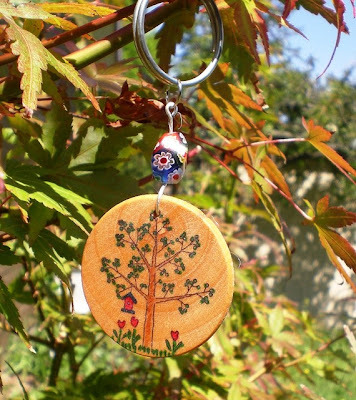 I've bought an autumn keyring and several of Benita's cards and am really delighted with them. I love the mod flower cards with gift tags and decorated envelopes .... and when she has them available again her summery boatshed cards are wonderful. Keep your eyes open for them. hi just looked at this shop. Love so many things here ... all bright and happy, but I specially like the mod flower gift card sets. 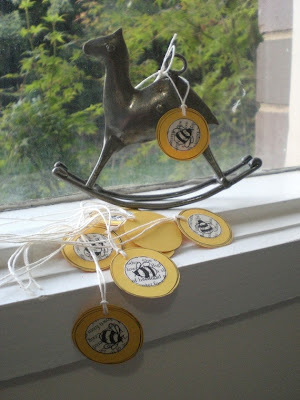 THose busy bee gift tags could have so many uses as you say. Hope i win.